So, my little one asked me that one question which I knew she’d ask me one day— Mumma, why can’t you stay at home like other mothers? Considering that she’s only five, must say that this question came a bit early, but it was understandable as a majority of women in the society I live in are stay-at-home mothers. To which she asked me back and said, “but why don’t you like to stay at home with me.” As she uttered that statement out of sheer innocence, I realised this was not just any other topic and had to be dealt with maturely. “It’s all about choice honey,” I said. “Don’t you like going to school, don’t you like playing with your friends? I like to be in office and do something that I love doing. While I do like to spend time with you, I also like to do things that I am passionate about and my job is my passion and there's nothing wrong in that either," I said. "However, that doesn’t mean that your friend’s mother is not passionate. She is perhaps way more passionate about something than I am, but she has chosen to be with her child at home right now and there’s nothing wrong in that,” I tried to explain my little girl as she looked at my face a little puzzled. I have seen many mothers coming up with excuses and choosing a round about way of explaining things to kids, especially when it comes to their choice of being a working mother. Always be open to your child when it comes to your profession. Continue reading on the next page to know about more tips! If you're passionate about your job, say that. Never forget that your daughter follows you and as Michelle Obama recently said," Parents are the most important role models for their kids." Just because you are a working mother, it doesn't mean that stay-at-home mothers are inferior or they know nothing. 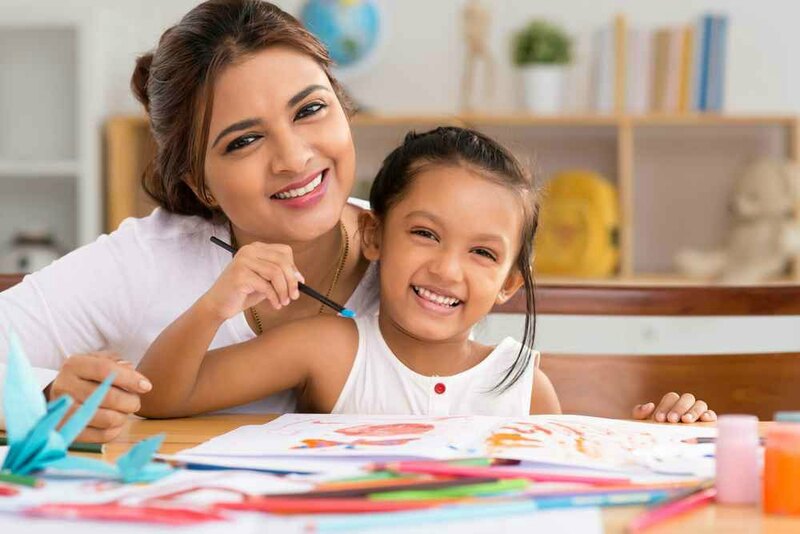 I have seen many mothers, MBA and engineering graduates, who've given up working after they became a mother because they want to take a break and enjoy motherhood. It's really a matter of choice and that's what you should be telling your child. Living in a country like India that has a lot of preconceived notions about working women, it is natural for your to doubt the choice that you made. This is very, very important as many working mothers who always feel guilty of leaving their child alone at home or daycare. Never feel guilty of taking the road less travelled and always stick to the decision that you made. Your child would perhaps try to imbibe that from you. It's not easy being a working woman, but it won't be that tough if you know what you're doing is right and you always remember that your child is your priority. Always constantly remind your child of the fact that you love him to the moon and never miss out an opportunity on showering your love on him. Try and manage to find some quality time every day where you spend time with your child and just talk to him about their daily happenings. Even fifteen minutes are enough to do that, trust me. Nitara just REVEALED what mummy Twinkle Khanna is really good at!